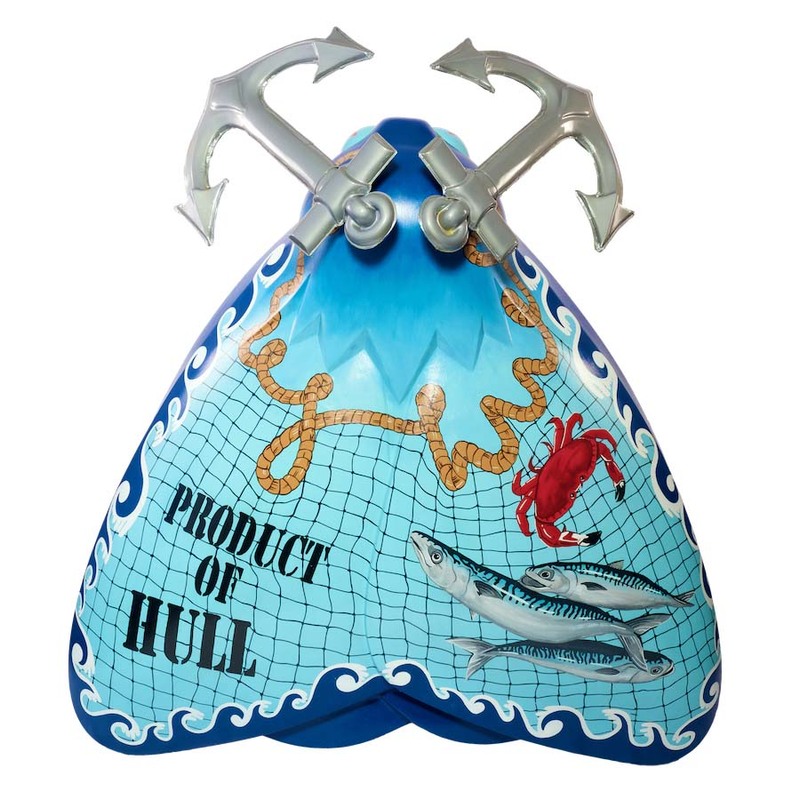 The design is inspired by the artist’s pride in Hull and the tenacity of its citizens. Amy Johnson’s parents were fish merchants, a profession of many in the area during Amy’s lifetime. The city’s history is built on fishing, and this close link with the sea is represented in the design of this moth. Roach Bros has a history in the fishing industry going back to 1850 when Richard Roach sailed into the Humber in his fishing smack, looking for better markets and fishing grounds. He came from Dartmouth and eventually built up a fleet of some 22 smacks and helped pioneer the development of Hull as a fishing port. Processing pelagic fish to the discerning retailers nowadays, the business continues to flourish.